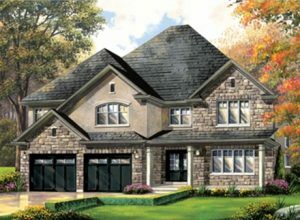 In picturesque Ancaster, just outside of Hamilton, Losani Homes is building a collection of detached houses and townhomes that will match the charm of the surrounding community. Currently in the pre-construction phase, Ancaster Glen is based around 55 acres for live and play. Aside from a community park and pond, a new school has also been proposed for the area. Situated at Garner Road and Highway 403, the development is minutes away from the Linc, numerous shopping options and the natural wonders of the Niagara Escarpment. Starting in $300,000 range, the townhouses have been moving fast. However, the houses have proven quite popular as well. Available in a wide variety of styles, the just-released Chateau elevation is a buyer favourite. 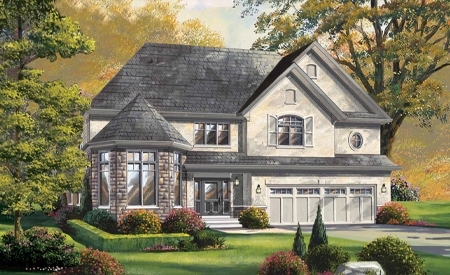 Experts helped choose the earth-tone exterior and the new houses will be clad in understated stone and stucco. For first-time buyers hoping to enter into the market, Losani Homes recently released houses on 36-foot lots. It’s a great opportunity to make a home for yourself in a historic town that’s not too far away from the hustle-and-bustle of the big city. For more information contact ancasterglen@losanihomes.com.